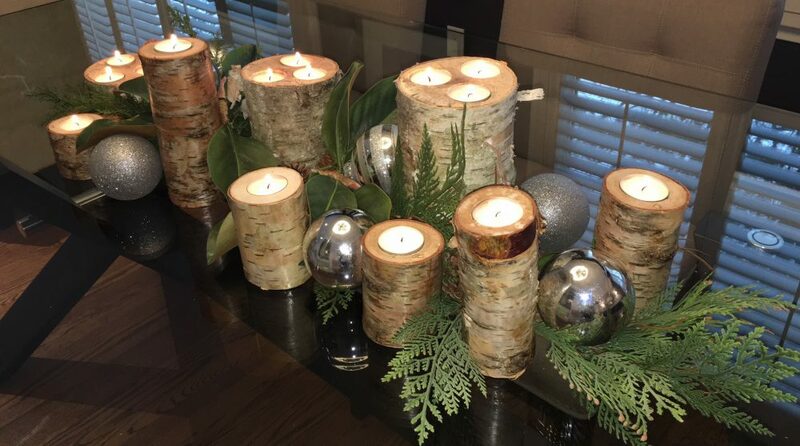 For this project, I’ve repurposed the materials from the following blogs: Birch Pillar Candles and Sparkle in a Bottle along with two garden lanterns. Place the birch pillars in the lantern. I used 3 pillars in one lantern and 4 in the other and staggered the heights to create interest. Weave the sparkle lights between the pillars and place the battery at the front of the lantern so it’s easy to reach. Cover the inside base of the lantern with moss (purchased from the Dollar Store) to hide the battery and add an organic element to the lantern’s base. Stand back and admire. This DIY took less than 10 minutes. I can’t wait to move these lanterns to the patio once the warm weather arrives. Roll on Summer! You don’t need to have birch pillars to reimagine a lantern. I placed dozens of wine corks in the lantern below and added a strand of battery operated Christmas lights for a little extra bling. It’s amazing what a little imagination and creativity can do. It is delicious and your guests will love it. Enjoy! Thank you for the wonderful feedback! Love it! Fabulous idea! This will really brighten the backyard during summer evenings. Thanks for sharing.